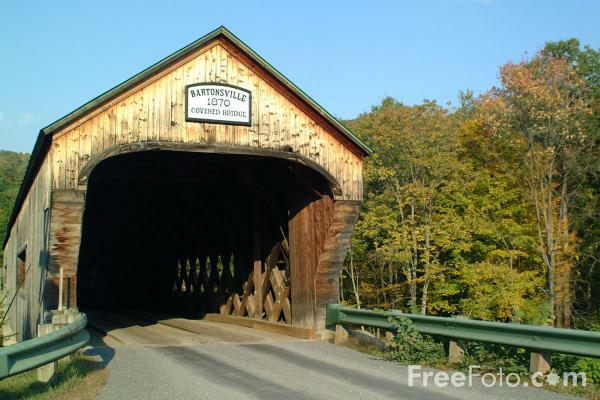 Photographs of the Bartonsville Covered Bridge, Vermont. One of three original covered bridges remaining in the town of Rockingham, the Bartonsville bridge is one of the longest in Vermont. It carries Pleasant Valley Road over the Williams River. This bridge was built in 1871 by the Sanford Granger. VIEW: More images from the category Bartonsville Covered Bridge, Vermont or taken at the same location or around the same time .